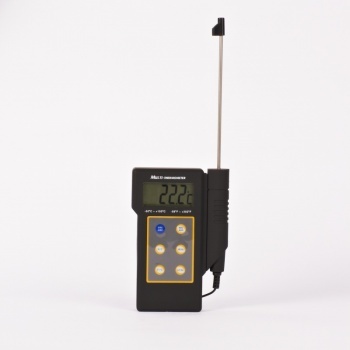 The versatile Digital Black Waterproof Thermometer is ideal for all industries including research and laboratories, pharmaceutical and medical industry, food and catering industry and agricultural industry just to name a few. 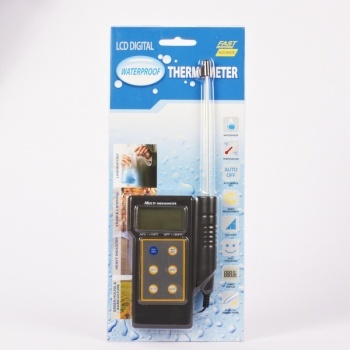 This digital waterproof thermometer uses a probe attached to the thermometer by a cable, to measure the temperature of an object or environment. Arrived next day, well packaged. Excellent service. 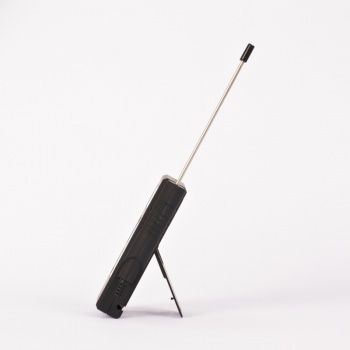 Device appears to be very good value for money. Did the job, checking water temperatures in around 20 sinks in the surgery. Quick service, ideal for taking the water temp at an outdoor swimming venue, robust enough to last, big enough not to lose! Easy to use and accurate. Nice clear display. Long lead on the probe. Delivered promptly. Note: This is for use in liquids. I've used it on other materials but it is slower to reach a stable temperature and may not be so accurate.